BASEL BUILDUP: The first Omega Speedmaster was released in 1957, so the iconic model is celebrating its 60th this year. We’re pretty confident this means we’ll be seeing an anniversary edition at Baselworld in a few days, which led us to speculate (fairly intensely) about what it might look like. 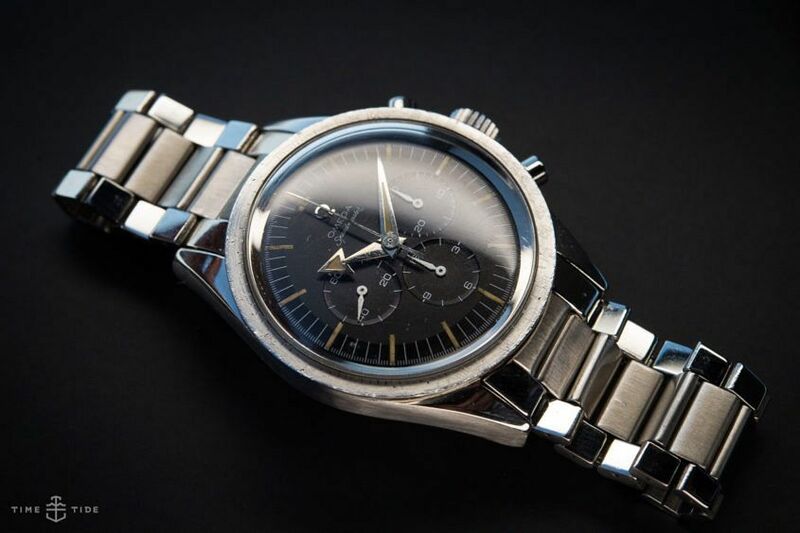 As with all things involving ‘vintage’ and ‘Speedmaster’, our journey led back to Petros Protopapas, Brand Heritage Manager of Omega, who told us some great stories about the model at an event we held back in 2014, called ‘The Night of Omega Firsts’. We decided to take a close look at what he said about the 1957 Speedmaster, to piece together possible clues about what a reissue might look like.